Make up products / ranges free from MCI / MI are listed below. 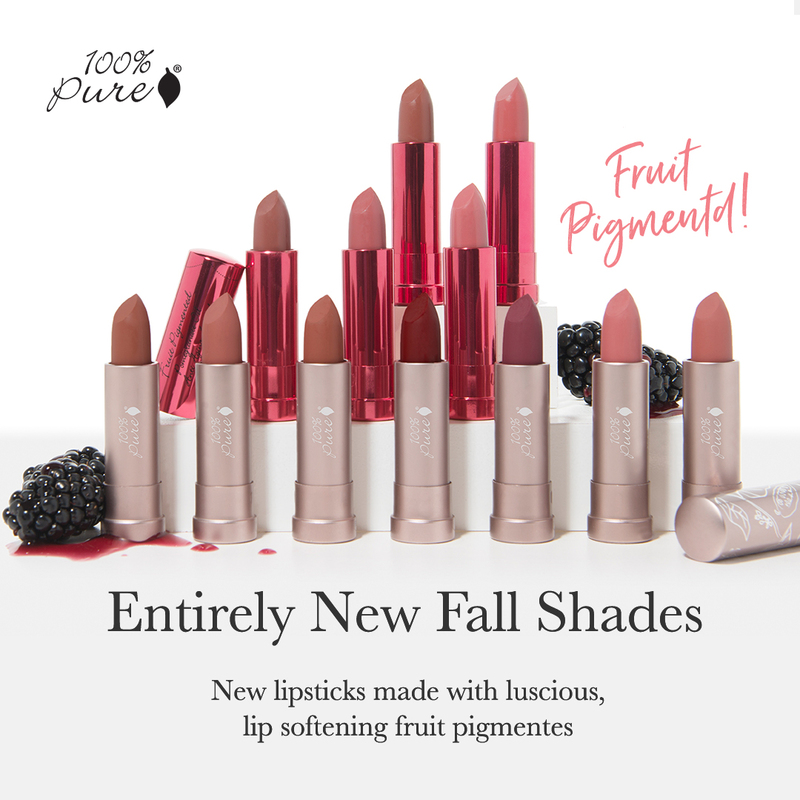 Natural Fruit Pigmented Makeup — including primers, lipsticks, bronzers, concealers, powders, foundations and much more. Almost 100-strong collection of make-up products — lipsticks, eye liners, blushes, concealers, foundations, and more — which are free from artificial colours / fragrances, formaldehyde releasers, parabens, phthalates, sulphates, silicones, talc and triclosan — as well as isothiazolinones. They told us in August 2017 that their Nail Art Pens, which come in four colours, are the only products which contain our troublesome enemies. All other Barry M products are MI-free, and the Nail Art Pens are being discontinued, so the brand will be fully MI free by 2018. You can browse products on Amazon here. Make up which is also free from parabens, PEGs, SLES / SLS and many other ingredients. See their Never List. For US, click here. For Canada, click here. MooGoo Skincare’s make-up range — including foundation, blusher, bronzer, tinted cream, lipsticks and other lip products, and much more. All their make-up is MI-free — as are the rest of their skincare products. Only use natural preservatives in their products, and confirmed free of methylisothiazolinone. As well as a solid collection of eye make-up, also boast some strong bronzers, blushers, and a popular cheek and lip stain, plus concealers and foundation. Renowned for their best-selling Smooth Affair Facial Primer & Brightener. Find online at Amazon here. High-tolerance cosmetics which are free-from a wide range of problematic ingredients, including MI and other ingredients such as phenoxyethanol and parabens (both preservatives), as well as essential oils, wheat / gluten, salicylates and much more. See full ‘free from’ attributes here. Best products are its Lengthening Mascara and its Pencil Eye Liner. Buy online internationally at Amazon here. Natural and organic make-up — all of it MI-free. Wide range of make-up products, blushes, powders, bronzers, eyeshadows, mascara, lip products and much more. Smaller range of face care too. Also available in the UK via Amazon. Bronzer, concealer, eye liner, lipstick, lip gloss, eyeshadow, mascara, blush, face powder … and more. Make-up for ‘face and cheeks, eyes and brows, lips and shine’ … all of it MI-free, as well as free from beeswax, gluten, parabens, petrochemicals, phthalates and many other ingredients consumers wish to avoid. Lots of make-up (and some other cosmetics) free from not only MI / MCI, but also nickel, fragrances, parabens, lanolin, Balsam of Peru, and more. See free from article here. Small selection of make-up products from Canadian MI-free brand, founded by an MI/MCI allergic formulator. Also fragrance free. The Organic Skin Co. branded products, like the entire World Organics brand, are MI / MCI-free, and include products for face, products for eyes and products for lips.